What do you look for in a home? The atmosphere should be such that you forget all the worries of the day and go on to have a fantastic time with the people who really love and care for you. Yes, you get to experience such a feeling at the new residential complex constructed by the House of Hiranandani at Bannerghatta. Let us look at what the residents of the House of Hiranandani, Bannerghatta, have to say about the project. This testimonial, by one of the most satisfied residents, sums it all. Sajan Kumar (Businessman) (Lake Verandahs A 2604) – It gives me great satisfaction in saying, that this is the place I call home. Bengaluru, being the technological capital of India, is witnessing tremendous growth in the setting up of MNCs and other IT industries. Bannerghatta is the fulcrum of such real estate activities. It is in the fitness of things that people working in these companies and industries buy residential houses and flats in Bannerghatta Road, to avoid adding to the chaotic traffic conditions in the city. The House of Hiranandani has come up with this residential complex at Bannerghatta, to cater to the needs of such professionals. With HOH, you can always expect the best of amenities as they take care of the minutest details, while constructing their massive apartment complexes. Neelam & Savan Harore (Garment Manufacturer) (Club Meadows C 1502) – It is close to my workplace and we have access to recreational facilities, along with a stunning view of the city. 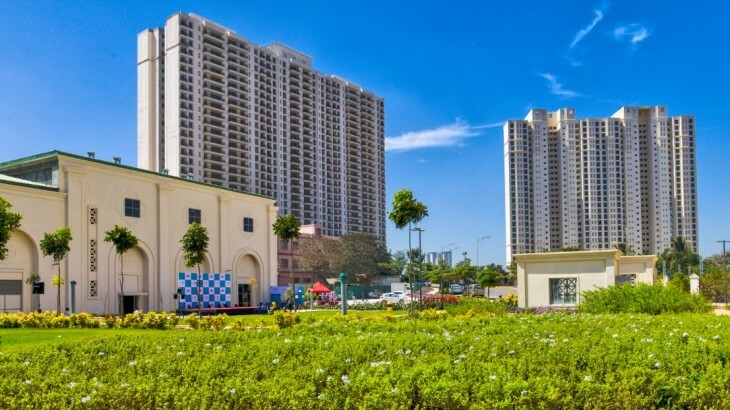 The House of Hiranandani has always had a reputation for providing the best amenities and security measures, in all of their projects across the country. These new projects in Bannerghatta Road are no different. You get everything that you expect in a high quality residential location. This House of Hiranandani project, provides the perfect urban family lifestyle experience with all the possible security arrangements in place. We ensure that the residents enjoy the best of recreational and sporting amenities as well. The USP of the HOH complexes is that you get ample space and lots of greenery. These testimonials prove these facts beyond doubt. Ananya & Budh Aditya Saha (Boutique Owner/IT Professional) Club Meadows A 1902 – We enjoy the perfect urban family lifestyle which encompasses safety, security and all possible recreational and sporting amenities. Trust is the hallmark of every House of Hiranandani project. You get full value for your money. This element of credibility is the clinching factor for people to invest in HOH projects in Bengaluru and elsewhere in the country. Investors get the opportunity of enjoying the best quality of life in HOH projects. The highlight of the HOH project in Bannerghatta is that it provides the “All is Well” effect as the residents get all the facilities delivered at their doorstep. Thus, Bannerghatta Road should be the right place for you to invest. The House of Hiranandani endeavours to help you realise your dream of having a heavenly place to settle down in life, yet being connected to the city you love. Meera & Dinesh Rajda (Social Worker/Retired Businessman) (Club Meadows B 2402) – The phrase “all is well” stands true here as we are not stressed about our security and other daily conveniences.